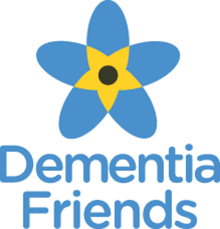 There are at least 850,000 people living with Dementia in the UK. Many are looked after by family members or other unpaid carers. More than half of those providing Dementia care at home have received no help with key issues like personal care. HomeCare Mellor’s experienced team have been providing Dementia care for over 20 years. We’ve delivered care to many hundreds of families affected by the condition, all with the belief that with the right care and support in place there is never a need to leave your own home. The realisation that somebody you love is no longer able to look after themselves without help can be difficult. It’s important for those with memory loss to be able to adjust with minimal disruption to their lives. Our highly trained care team supports those with many forms of memory loss, so they’re able to look after themselves in the comfort of their own home. and personal care. Some customers need help with medication, tasks outside the house, or companionship. Our staff are selected for their compassion, trustworthiness. and their understanding of the condition and its effects. We train all our staff ourselves, with in-house Dementia specialist courses. Our team of dementia specialists are always on hand to give more information and advice on our dementia support services. Contact us today to find out more. We at HomeCare Mellor understand the daily challenges and different stages of living with and caring for someone with this disease, as well as promoting the belief that appropriate care can be provided at home.